​1. ​​Submit ​– At the headquarters of diplomatic missions,consular offices or other agencies authorized to perform consular functions of Vietnam in foreign countries (hereinafter referred to asrepresentative offices) with territorialjurisdiction certification al consularlegalization abroad. Time to apply and receive replies: theworking day prescribed by the Agencyrepresentatives (except for holidays, holidaysunder the provisions of the host country andthe holidays, the New Year under the provisions of Vietnam). ​2. ​Agencyrepresentativesreceive dossiers,consider and resolve. 3. Get a direct result intheir offices orrecords be returnedby mail to the applicant. 1.1. 01 declaration of certification / legalization of using Form LS / HPH-2012 / TK (Can be printed from the electronic portal on Consular affairs – Foreign Ministry: lanhsuvietnam.gov.vn). 1.2. The originals of identity documents (identity card, passport or papers of passport replacement value) for filing the case directly; or 01 copies of personal documents (identity card, passport or papers of passport replacement value) for the case filed by mail. This document does not need authentication. 1.3. 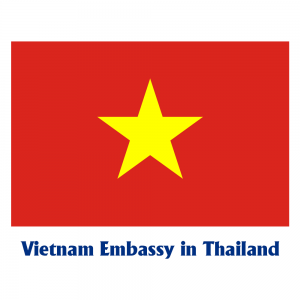 Papers and documents requested consular certification (was Vietnam’s Foreign Ministry certified under the provisions of Article 11 and Article 12 of Decree No. 111/2011 / ND-CP). 1.4. 01 copies of the papers and documents requested consular certification. 1.5. 01 envelope specifying the recipient’s address (if documents are sent by mail and return the records requested by mail). * Where should check the authenticity of the papers and documents certified suggested consular officials can receive records request requesting certification of additional consulates present original papers and relevant data and submit 01 copies of papers and documents. 2.1. 01 declaration of certification / legalization of using Form LS / HPH-2012 / TK. 2.2. The originals of identity documents (identity card, passport or papers of passport replacement value) for filing the case directly; or 01 copies of personal documents (identity card, passport or papers of passport replacement value) for the case filed by mail. This document does not need authentication. 2.3. Papers and documents requested consular legalization (which have been certified by the Ministry of Foreign Affairs of the host country or other competent authorities of foreign countries where Vietnam representative offices or representative offices Vietnam Male part-time). 2.4. 01 copies of papers and documents requested consular legalization. – Papers and documents are prepared in other languages ​​in addition to Russian, French, Spanish, Chinese, German, legalization proposals in other representative bodies, if the agency has a staff representative receiving dossiers understand the same language. 2.6. 01 copies of translations of papers and documents for your records. 2.7. 01 envelope specifying the recipient’s address (if documents submitted by mail and requests sent by mail). * Where should check the authenticity of the papers and documents requested consular legalization, reception staff records may require the proposed legalized the additional produce the original documents , relevant documents and submit 01 copies of papers and documents.